In Summer 2019, the historic landmark Peavey Plaza will re-open after a major revitalization and reclaim its place as one of our city’s most dynamic and vibrant public spaces. 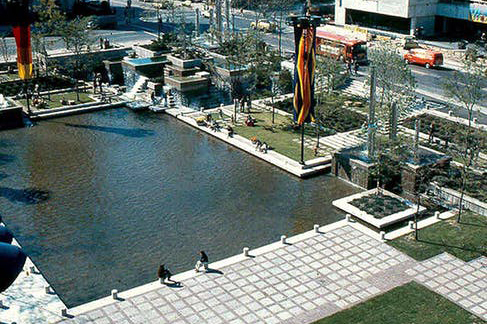 Designed by renowned landscape architect M. Paul Friedberg, Peavey Plaza opened in 1974. A notable example of modernist architecture, it was added to the National Register of Historic Places in 2012. Image by M. Friedberg & Associates, 1975. 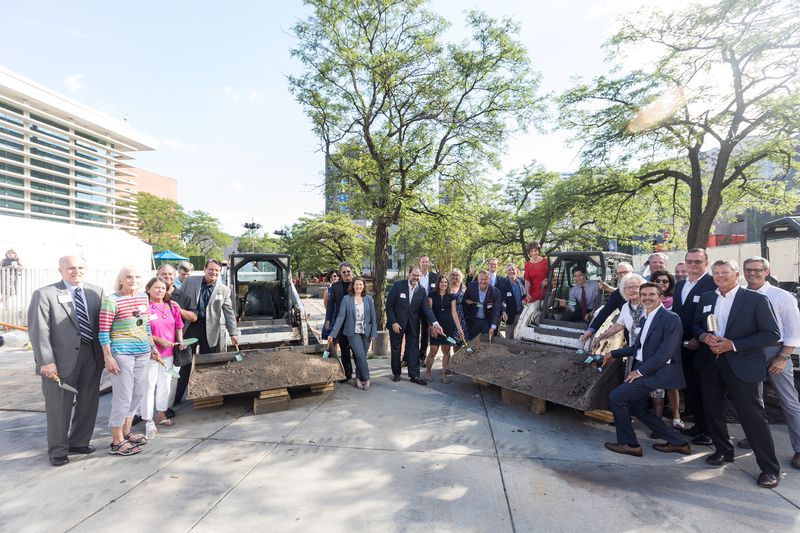 Demonstrating the power of a true public-private partnership, Green Minneapolis has spearheaded the $12 million fundraising campaign to revitalize Peavey Plaza, with contributions from the City of Minneapolis, State of Minnesota and many private donors. To date, $10 million has been raised. The design team, led by Coen+Partners, facilitated a project that celebrates the Plaza’s historic modernist design, enhances sustainability and makes the Plaza accessible to all. Learn more from the City of Minneapolis. 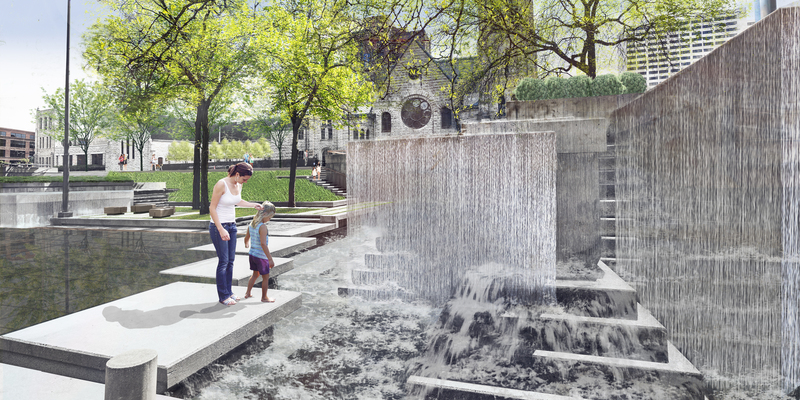 Peavey Plaza will come alive in Summer 2019, complete with beautiful flowing fountains, a vibrant tree canopy, live music, and other special events. The revitalized Plaza will once again be a favorite downtown destination to meet a friend or relax and recharge. 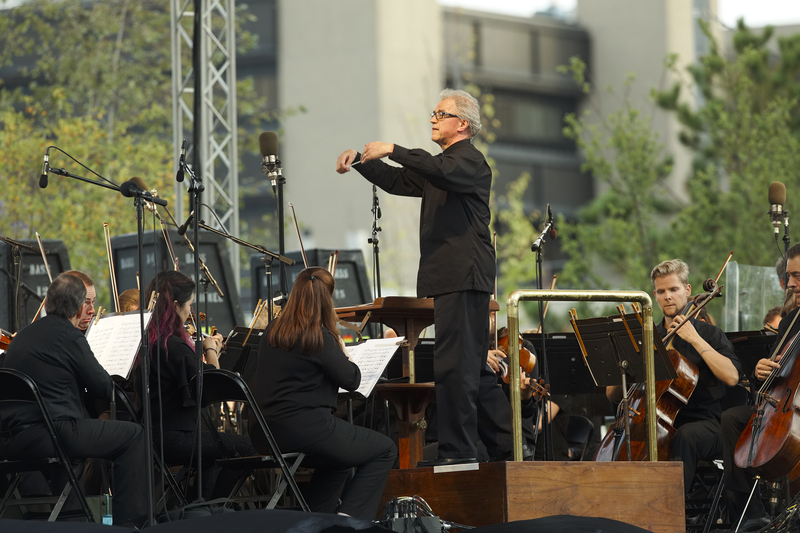 Image by Greg Helgeson, Minnesota Orchestra.